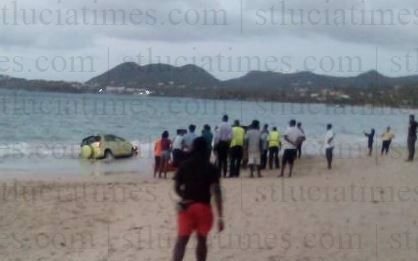 The driver of a vehicle which ran off the road at Vigie and ended up in the sea was injured Wednesday and transported to hospital by private means, the Saint Lucia Fire Service has reported. According to a Fire Service official, the incident occurred after 6.00 p.m. The official told St Lucia Times that the driver was the sole occupant of the vehicle at the time. He said that the vehicle overturned several times before it ended up on the beach.